Amazon.com: EXPO 4-Count Fine Point Dry Erase Markers for just $2.65! 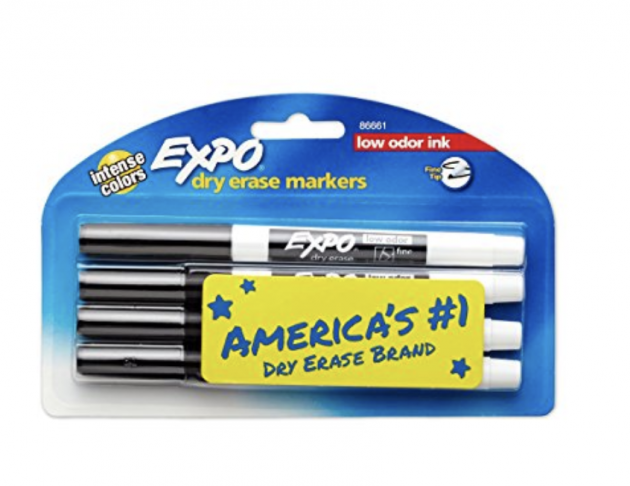 Amazon has the EXPO 4-Count Fine Point Dry Erase Markers for just $2.65 — the LOWEST price ever on record! « *HOT* Get a 31-Piece School Supply Kit for just $8.79! !